The team of Marlene Dietrich and Josef von Sternberg was responsible for some of the kinkiest films ever made in Hollywood. After this film, their sixth together, the Motion Picture Production Code was enforced and their reign of terror was brought to a close – to the detriment of us all. Their previous films together had placed Dietrich front and center as a voracious lover, a transgressor of sexual and social bonds. In this, their penultimate film as a team, Sternberg and Dietrich enact the story of one of history’s most notorious figures, Empress Catherine the Great of Russia. 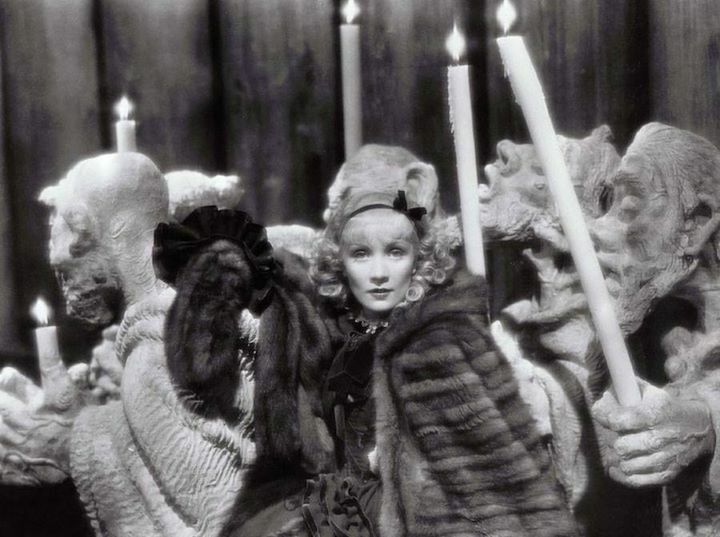 Dietrich plays the dominating, insatiable queen with vigor and humor and the gorgeously staged production at times feels like a very expensive Andy Warhol goof. This is Dietrich at her best.